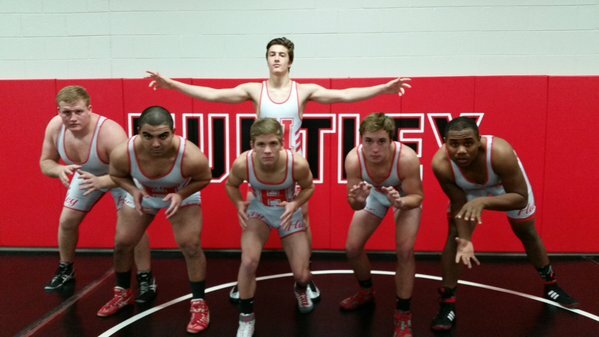 Huntley's wrestlers pose before their meet against Cary-Grove. 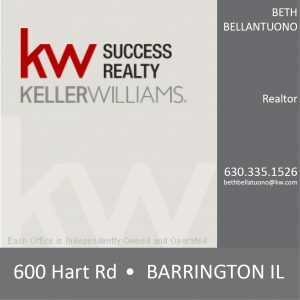 On Thursday, Dec. 3, Huntley wrestling took on Cary at home. The Red Raiders won 54-17 with six pins. The night started with senior Jalen Blanchard getting a pin for Huntley, which got the boys fired up. The next match was 285-weight class, and senior Dominic Swanson was too much for Cary. He used all 285 pounds to pin his opponent. Swanson’s match lasted about 20 seconds. Swanson is the biggest player on Huntley’s roster and he showed it tonight. “Before the match even started I knew I was going to win, I was in the zone,” said Swanson. Sophomore Zach Spencer was up next for the Raiders, he was able to slide by his opponent winning 3-0. This was an even match all the way through, Spencer was able to reverse a take down for the win. After four matches the Raiders had a commanding lead of 21-0 and looked very strong against a weaker opponent. Sophomore Josh Stenger was next for the Raiders, one of their top, if not the top, wrestlers on the team. Stenger showed his skills when he pinned his opponent without breaking a sweat. Stenger put the Raiders up 27-0. Kyle Smoot was able to get a pin for the Raiders giving them six more points. Cary was not a threat at all at this point of the meet. They were just overpowered and outmatched. Riley Brands was up next for the Raiders. He had a tough match against his opponent that lasted all four rounds. He ended up giving the Raiders three more points, but seemed disappointed about his performance. Jason Pawlak continued the trend for the Raiders and pinned his opponent, making it 42-0 Huntley. The tables turned after this match for the Raiders. Even though they had a commanding lead of 36-0, Cary started to make a small comeback. James Gaynor lost to a much bigger opponent, followed by Brad Zbilski losing 3-0. “I did not have the best night, I come out ready every match but tonight was not my night,” said Gaynor. This made the score 43-9, a little too late to make a comeback, but Cary never gave up. Cary was able to win the next matches making the score 48-17. The final match of the night was a fast one, senior Petros Mihalopoulos was able to finish his opponent in 27 seconds. The Raiders looked very good and aggressive against Cary. They dominated the meet and look to continue this streak to the next meet.